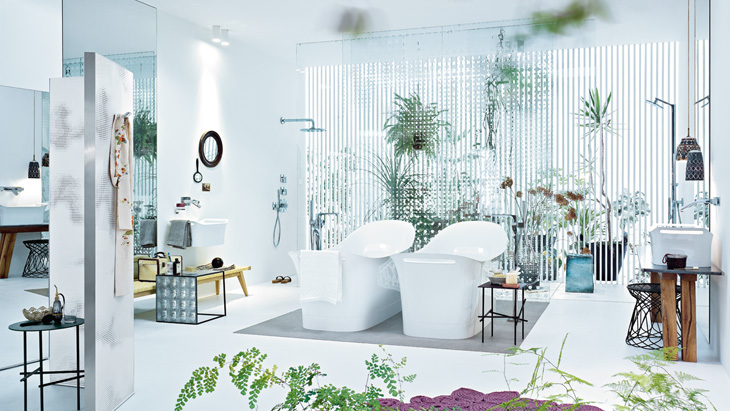 Inspire the enthusiasm of your customers with style fusion in the bathroom. Axor Urquiola is rich in detail and can be combined in a variety of ways to achieve a customised bathroom. The imaginative collection's design combines soft shapes with asymmetries and large surface areas. In planning your bathroom you can opt for mixers that look just like they evolved naturally, for example. You can also play with nostalgic associations inspired by the wash basin and bath tub. Each Axor Urquiola element possesses its own charm and combines with the other items in the room to create a homely unit.